If you have ever wondered how so many men are able to tear up the dance floor at a wedding or office Christmas party and manage to keep their shirt neatly tucked then we have the answer for you. You may have seen a video going viral of an elastic material that attaches to the end of your shirt then around your leg. This is called a Shirt Garter (Shirt Stays) and it’s purpose it to help keep your shirt tucked in looking neat. Keeping your shirt tucked in can be a real hassle. It can sometimes be embarrassing having to reach into your pants and tuck your shirt in when you’re around strangers. No longer do you need to worry about your shirt becoming untucked and looking like a hot mess at a wedding or other formal event and being judged. The only thing you need to worry about is keeping your top button done up, your Tie in place and not losing accessories like your Pocket Square and Cufflinks. Before recently becoming popular, the Shirt Garter was worn by guards in the military as they had to always look their best standing for long periods of time. 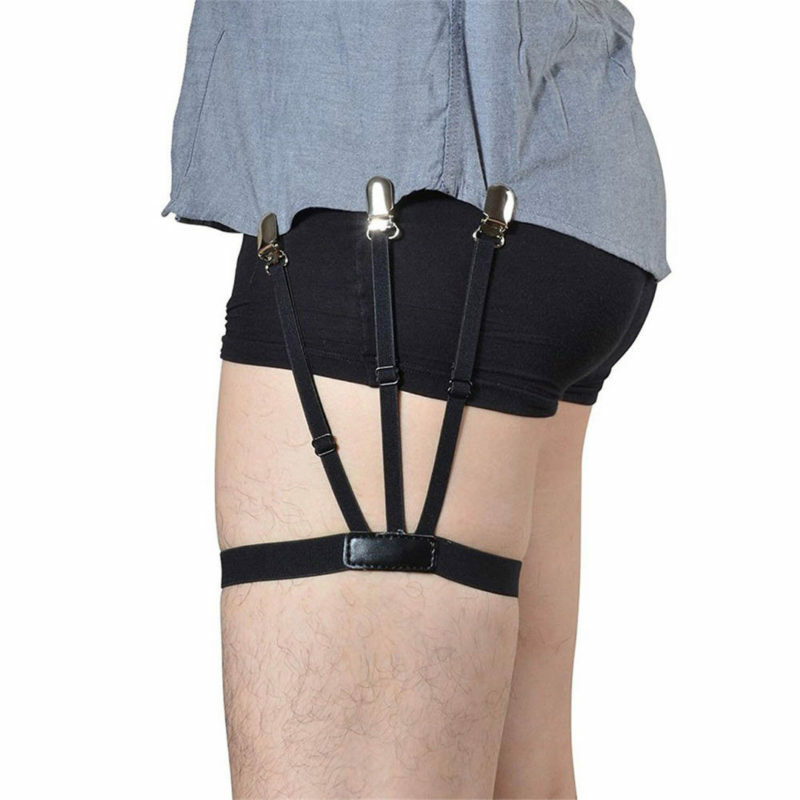 To use our Shirt Garter, attach the double clips to your shirt tail while the loop sits around each leg. They’re completely adjustable so don’t worry about your shape or size.